Day 9: Today I'm grateful for the opportunity to give to or serve others, and that we are blessed with the resources to do so. If there's one thing I fear, it's raising an ungrateful child. Probably because I was one. No really. It's embarrassing. And I'm praying history does not repeat itself and going to great lengths to make sure it doesn't! 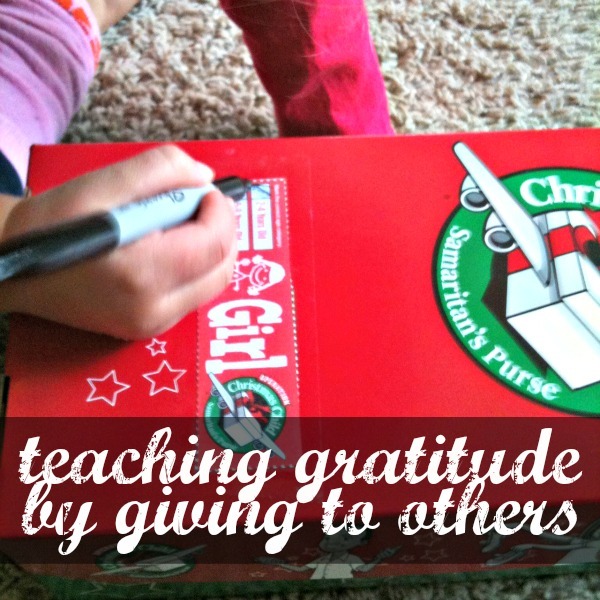 While I was thinking about my post for the 21 Days of Gratitude, I kept coming back to teaching my children gratitude. And what better way to teach my children gratitude than my giving? But I don't mean giving things to them. I mean giving to others. As I drove home from a social event tonight, I suddenly thought, "I wonder what would happen if I asked Sweet P every morning, 'How can we bless someone today?" How can we thank God for our blessings by blessing someone else? She might not get it at first, but after a few weeks (maybe even days), I think she might start asking me. When we started Baby Bear Preschool this year we started with a word of the week. The first week was Share and the next week was Thankful. I put these together and we read a devotional that talked about being thankful for your food because many children don't have enough food to eat. That week we talked a lot about being thankful and thinking of ways we could show our gratitude by blessing others. I often say, "We can show God we are grateful for what He has given us by giving to others." We ended up taking food to a local food bank that month (and plan to do so monthly) and while I'm not sure Sweet P understood, it planted a seed. I receive Samaritan's Purse Gift Catalog so I sat down with Sweet P and showed her the different items we could buy to help other children or families who don't have enough food, clothing or resources. She chose to donate milk and a blanket with her own piggy bank money, and again a seed was planted. Each year our church does Operation Christmas Child. This is our 3rd year participating and I have fallen in love with this ministry. It's a ministry that even a toddler can take part in. Our church supplies the boxes and we do the filling. If you're not familiar with OCC, please click here. We only took one box home because I was taking the bulk of the stuff I'd saved all year just for this to my MOPS packing party (which was SUCH an amazing experience). Last Friday our Family Fun night involved going to Wal-Mart to pick out a few more items to pack in our box. Sweet P decided on some pencils and pens, we picked up a few toiletries and bought undergarments and a pair of shoes. When we got home I realized we'd bought undergarments for a very young child and a pair of shoes for an older child. I thought about taking the shoes back to return them, but then decided we'd just pack another box. We talked with Sweet P about how OCC worked as we shopped and chose items. Because Sweet P is a girl, we chose a girl to pack for and she kept asking "What's that little girl's name?" It was late when we returned from shopping so we fed the kids and put them to bed with promises to fill the box in the morning. It was one of the first things Sweet P wanted to do when she got up and she gathered all the items (along with the box), and took them to the living room. Distracted by a phone call, I didn't sit down right away, and when I came into the living room she had packed everything into the box. We did a little rearranging (that's when we realized we had enough to do another box) and she taped the label to the lid before marking an X next to the age range. We prayed over the boxes (and I guess it got lengthy because she finally said, "Stop.") and I wondered how much she understood. Again, she asked me "What's that little girl's name?" Sunday morning, we dropped off our boxes at church and the seed was planted. She asked me again sometime at the beginning of the week about the little girl's name and then I thought she'd somewhat forgotten OCC because she hadn't mentioned it in a few days. Until tonight. 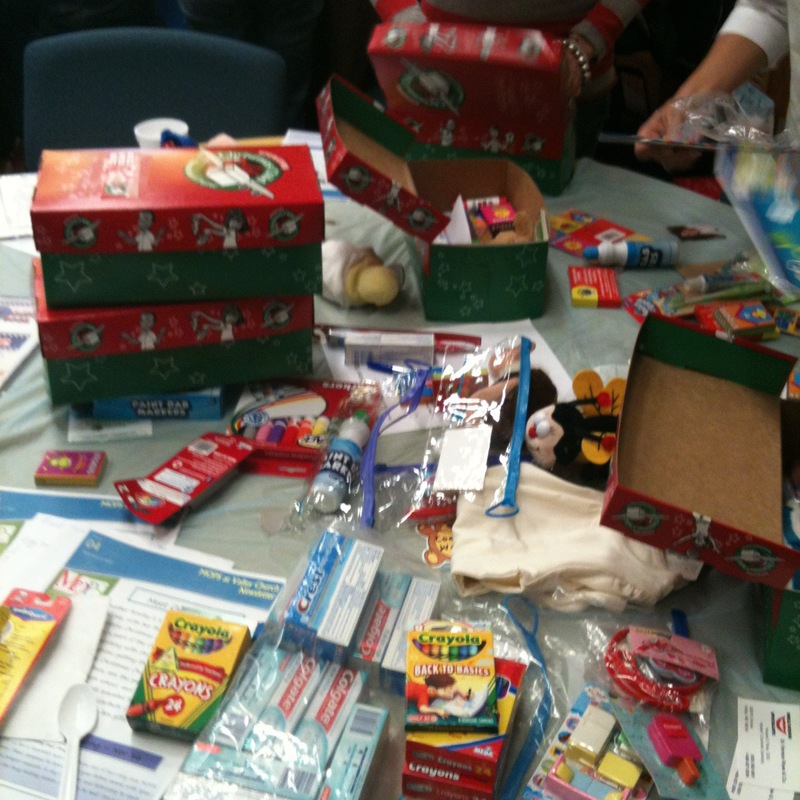 "I packed Christmas Child boxes with toys for Beary (her stuffed very loved bear) and Baby Roogie (Beary's baby brother who is still in their mama's tummy-according to Sweet P) because they don't have very much clothes. Baby Roogie only has just one outfit so I packed some of my clothes for him. And Beary only has just one onesie to wear." My heart melted and I told her that I loved her sweet, kind heart. Then, I asked if I could see what was in the "boxes" (they were two little homemade zippered pillows sans stuffing that my Nana made). The first contained several items of her clothes and the other had headbands and hats in it. My heart bubbled over as I thought of her sitting in her room alone filling these bags full of items to give to others (pretend or otherwise). She was, of course, supposed to be sleeping, but we'll let it slide. And the seed began to grow. Want more ideas? Want to share yours? Check out #blog4cause (Little Hands can make a Big Difference), an idea created by the minds of Amy of TeachMama, Allison of No Time for Flashcards and Amanda at Not Just Cute. Read more about it, then link up how you're making a difference in the world. I pray that by teaching my children to give, they'll learn to be grateful for and not take for granted our blessings. I'm sharing November 9th with the adorable mama♥miss so pop over to read her gratitude post today! So grateful for the Kids Blogger Network and the opportunity to be part of Inspired By Family's 21 Days of Gratitude. In a world of negativity, it's a breath of fresh air to stop and count your blessings. 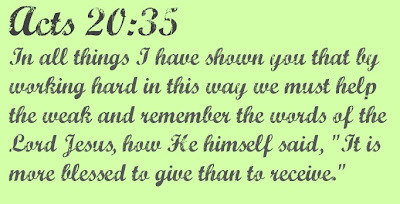 How can you bless someone today?